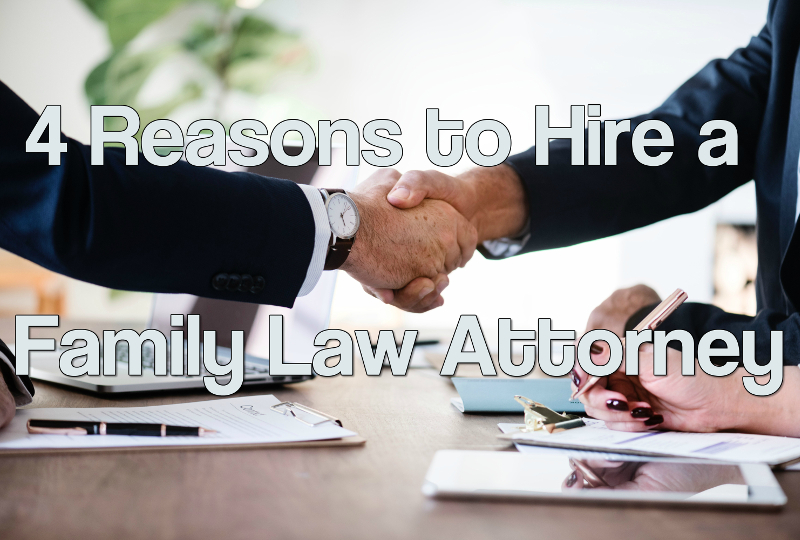 If you’re trying to decide whether you should hire a family law attorney, continue reading to learn the common most reasons and associated risks people have when not hiring an attorney. Reason #1: I can’t afford an attorney and it will be cheaper if I just sign the agreement. Not retaining – or at least consulting with – an attorney could be a big mistake. While there are attorneys fees, you will often end up saving money in the end because you are protected from entering an agreement that may not be in your best interests. By hiring an attorney, you will be able to avoid issues that would require additional litigation to resolve any disputes. While many people would struggle to pay an attorney from their salary alone, a person may have access to additional savings or resources to help with the cost. If the one party has significantly more income, they may be responsible for some of the lower income party’s fees in the divorce process. Another common thought is that you can save money on attorney’s fees now by entering an agreement with a plan to modify it later when you have more money. As we mentioned, custody and alimony agreements require a thorough understanding of the technical rules and regulations of this area of the law. If these agreements are not correctly filed, it may be impossible to change later. Due to the burden of proof required by the parent seeking to modify the parenting plan, they may not qualify for a modification and will be stuck with the original agreement. Reason #2: I’ve done my research, I can handle this case on my own. If you know the other party has retained an attorney, you should never attempt to handle your side of the case without your own representation. A licensed family attorney understands the legal system’s ins and outs and knows what information is going to be the most important to provide to the courts. Part of this process requires your attorney to submit evidence. In order for this to be successfully admitted, technical and complicated paperwork is required. If it is not submitted correctly, the important parts of your case may not be admissible in court. A lawyer also knows the best way to negotiate and phrase any agreements with your best interests in mind. Without your own attorney, you may believe your agreement says one thing when really it does not. I don’t have to pay the mortgage anymore since the agreement says the other party will pay it. That would be awesome, but as long as you are on the mortgage, if the other party defaults on the mortgage, the bank can come after you for payment. If there is no requirement to refinance, you may not be able to get a mortgage for a new home. Technical child support language that can easily be misinterpreted. For example, the agreement requires the payor to pay the same amount of child support until the last child is no longer entitled to child support. However, the payor thought the language meant that as each child aged out, their child support obligation would be reduced when in reality it stays the same until all children have aged out. Waiving interest in an asset that the party didn’t know they had interest in, For example, a home purchased by the other party before marriage. Agreeing to a duration or amount of alimony that no court would have awarded because the party did not understand the alimony law and how judges apply the law to the facts of the case. Agreeing to a child support amount that was not correctly calculated because it failed to properly factor in bonus income, time sharing costs and other important factors. Agreeing to what looked on the surface to be an even or equitable distribution of the assets, when tax liability or the non-marital were not properly considered. Reason #3: The other parent or spouse is indicating they would like to work things out amicably. Even in amicable situations, it is critical to have the agreed upon settlement drafted appropriately. Without the experience of a family law attorney, it is nearly impossible to think of and properly address the various issues that are part of the agreement. While the forms provided by the court are a great starting point, they cannot address all the nuances of every case. An attorney can help create a settlement agreement that is still agreeable to both parties and does not interfere with the amicable settlement process. It is also not uncommon for a party to retain an attorney to work behind the scenes. While you are negotiating without the advice of counsel, you may be ultimately entering into an agreement that has been essentially drafted by an attorney representing the other party. Reason #4: You don’t need a detailed parenting plan because you’ll be able to resolve time sharing issues on your own. If time sharing, vacation time, use of cell phones by children, cost of cell phones, car insurance and other details are not specifically set forth in the parenting plan, you are at the mercy of the other parent’s willingness to agree to those requests. What if one of you remarries and their plans now conflict with yours? What if, at some point in the future, you and the other parent are not getting along? There are unforeseeable events that could affect the time you get to spend with your child. These are just a few of the reasons why it is important to consult with an attorney when you are involved in a divorce or custody case. If you are in need of a reliable family attorney look no further than LaFrance Law. Chris and Shannon LaFrance are dedicated lawyers who strive to provide you with the best outcome possible.